Lisa entered the dental profession some 30 years ago. 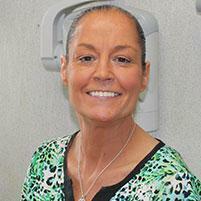 She has been working at Montville Dental for almost 25 years, as the chief dental assistant. She graduated from Morris County College, where she completed x-ray courses and received her license. Lisa is certified to administer CPR and continues to attend courses on the latest dental techniques and procedures.